Mamata Banerjee is known for turning adversity into an advantage, and the CBI-Kolkata police scuffle gave her the perfect opportunity for it. Kolkata: For West Bengal Chief Minister Mamata Banerjee, the CBI’s attempt to question and presumably detain Kolkata police chief Rajeev Kumar turned out to be a blessing in disguise. 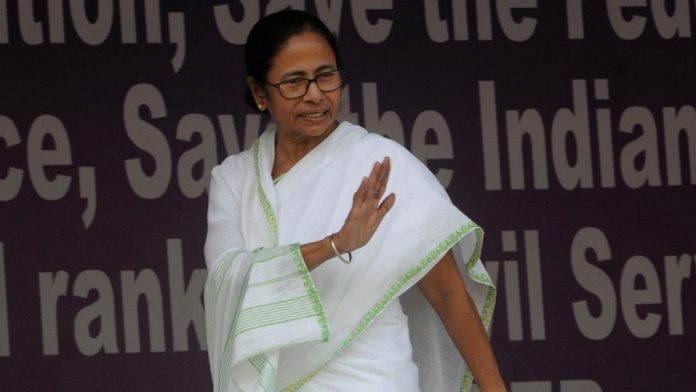 Known to turn adversity to her advantage, Banerjee immediately swung into action to highlight the issue as an unauthorised trespass by a central agency, and as an attack on her state’s democratic institutions. After her roadside press conference outside the top cop’s house, instead of heading home as expected at the end of a cold, eventful winter Sunday, she went to an area often used as an outdoor protest venue and started a sit-in demonstration. This served to create such an impact — the unfolding events being broadcast live by national news media — that within seconds, Banerjee started getting calls and messages from political leaders from around the country expressing their solidarity. ‘Didi’, who has been trying to mobilise a united opposition to stand up to the BJP in the general elections this year, couldn’t have asked for a better opportunity to turn the tide in her favour. Political commentators point out that ever since the ‘united opposition’ idea came to the fore — it was catapulted to the national stage when on 19 January, Banerjee held a mega rally in Kolkata attended by top opposition politicians — there has been a tacit scuffle about who will lead the pack. Congress president Rahul Gandhi who, it is believed, is unwilling to allow anyone other than himself to be considered the face of such a front, also called up Banerjee after the CBI-Kolkata police standoff. Most significantly, even Odisha chief minister Naveen Patnaik, who has not been an active participant of the opposition unity and did not attend the 19 January rally, spoke out against the high-handedness of the CBI — the emphasis being on ‘Central’. Other than thus mobilising the opposition and positioning herself as the face of the emerging ‘united opposition’ front, Banerjee has achieved something else too. “She has tactfully diverted attention from the key issue of the CBI investigation and Ponzi scheme scam, in which several of her party colleagues are named,” Chakraborty observed. Denying the allegations, Sarma has tweeted that unlike Didi’s police commissioner, he has been cooperating with the CBI. Furthermore, by highlighting the CBI indiscretion of arriving uninvited to the house of the commissioner of police, Banerjee managed to ensure that questions about the manhandling of CBI officials by her police do not raise their ugly heads. But clearly, Banerjee is cunning enough to let the alleged indiscretions of her political rivals overshadow those of her own. In the end, she called off the strike with claims of a “moral victory”. The Supreme Court order that the commissioner cannot be arrested was enough for her. She managed to have her cake and eat it too, and this was the icing on top of that cake. In the last three days, Banerjee has become a national hero with all the leaders of the opposition. She has become, willy-nilly, their leader. And she got to keep her police commissioner. Before the elections, Banerjee could not have asked more. The BJP dismissed the notion that the last three days’ events were positives for Banerjee. The Communist Party of India (Marxist), which has often accused the Trinamool and BJP of being hand-in-hand to prevent a Left resurgence, dismissed the entire episode as a “staged drama”. Mohammed Selim, CPI(M) Politburo member and MP told ThePrint: “On 3 February, the Left held a huge rally in Kolkata which was a big hit. It unnerved both Didi and Modi. To overshadow the success of our brigade rally, the Trinamool and BJP planted the entire thing. Claiming a resounding slap in the face as a moral victory, is only the political alternate truth, which only a fake news channel can glorify! political victory. My foot….. even in death you guys claim victory. shame on a CM. she just commited herself to uphold corruption. First time I am hearing that Hon.Chief Minister has won a “moral Victory’ by that Dharna. The very fact none of her supporters including Mr.Tejazi Yadav has claimed victory is an indication that Dharna has misfired. Saw a video clip outlining her political journey, a childhood of genuine poverty, an early entry into politics, jumping onto the bonnet of an opponent’s car, defeating Somnath Chatterjee in 1984. When a woman was violated, she staged a dharna outside the CM’s office, the police dragged her away by her hair. Uprooting the Left after its 34 year reign in Bengal was not easy, despite all the anti incumbency that had built up. Each Indian state should be led by someone of her calibre. Not the bonsai plants dating from Mrs Gandhi’s time.